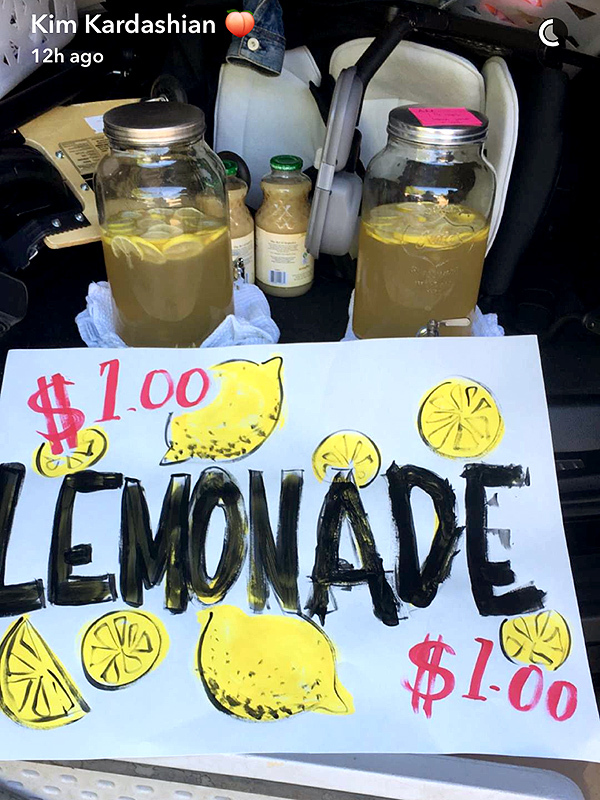 3-year-old North West started a lemonade stand this week, and she’s already racking up some serious dough. One of her customers, mommy Kim Kardashian West, dropped a Benjamin on one of her cups. Kim got her glass, but she may have overpaid. “I have $100 bill — who wants to take it?” she asked. LaLa Anthony‘s 9-year-old son, Kiyan, gladly took her payment. This mommy-daughter duo is just too cute! There’s simply no denying it!